Ted (left) and Zeb Esselstyn, on old trees they saved from the trash. Ted Esselstyn was a carpenter, an artist and a med-school graduate in 2009 when a friend told him about Urban Hardwoods, a company that reclaimed old or discarded wood and made furniture from it, he checked its website and “that’s when the lightbulb went on,” he says. Urban Hardwoods was in Seattle. Ted, then 35, lived in Connecticut. Trees were everywhere -- 67 percent of his state’s land mass -- but he found no company in the Northeast that was reclaiming them. He called his brother, Zeb, and told him about his idea. The Esselstyn brothers are idiosyncratic. Ted had spent 15 years making massive, whimsical pieces for public institutions -- a 30-foot dragon in a children’s library, a pirate ship kids can climb on. Zeb had been in construction, a guide for Outward Bound, a music festival producer, a Hollywood-film-set grunt and more -- but when Ted called, Zeb had just graduated, at 40, from the Columbia School of Journalism. He’d gone to journalism school because he wanted to tell stories, but 2008 was a bad time to graduate with any degree, let alone one in media. So Zeb agreed to help in the new venture, and he moved from New York to Connecticut in 2010. 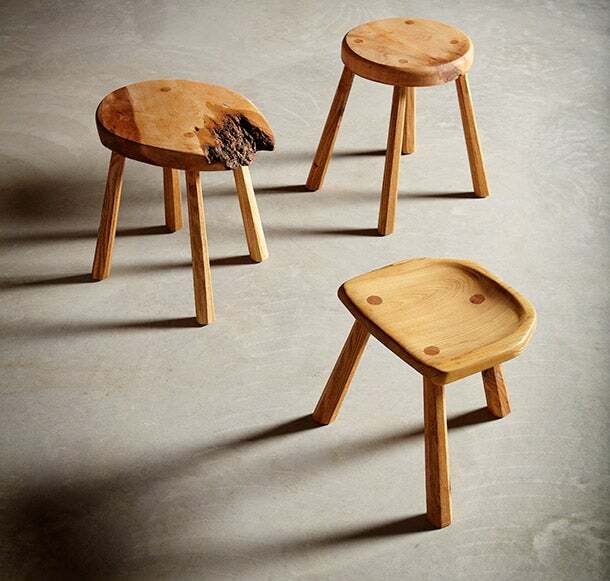 Three stools, three stories to tell. They called their startup City Bench. The first relationships took time to build: They asked the City of New Haven and Yale University for their discarded trees and got eventual yeses. Zeb noticed that people took pride in the notion of something old becoming new again. They wanted City Bench to succeed. And he realized that the pieces themselves could be a narrative medium. “They could say something really powerful,” he says. Through park benches and coffee tables, Zeb and Ted and their clients could reveal their personalities and describe what mattered to them. So they became marketers, contacting media outlets about their furniture with a backstory, and together the brothers began shaping the raw lumber they acquired. Business was slow the first couple of years: Neither Ted nor Zeb drew a salary, because mills, staging areas and shipping costs are expensive. In 2011, they had $100,000 in revenue but fed it all into their company and relied on family members to get by. “It was just stringing things together. Neither of us had started a business like this before,” Zeb says. But the Esselstyns learned from their mistakes, and the story of City Bench prevailed. The second life of discarded trees, that transmutation of weathered trunk to varnished table, lured an ever-growing number of customers to the company: Clients who wanted a table shaped from the limb of a beech tree they adored, and a big contract with Denver Public Schools to transform a lobby into “a place of vitality and whimsy,” as Zeb says, with columns of mixed wood, furniture with swooping backs and a graffiti bench. Good stories, after all, have a tendency to spread far and wide.